A simple ceramic mug that tells the world that you are now part of the Wildernesse project to Save the Scottish Wildcat. 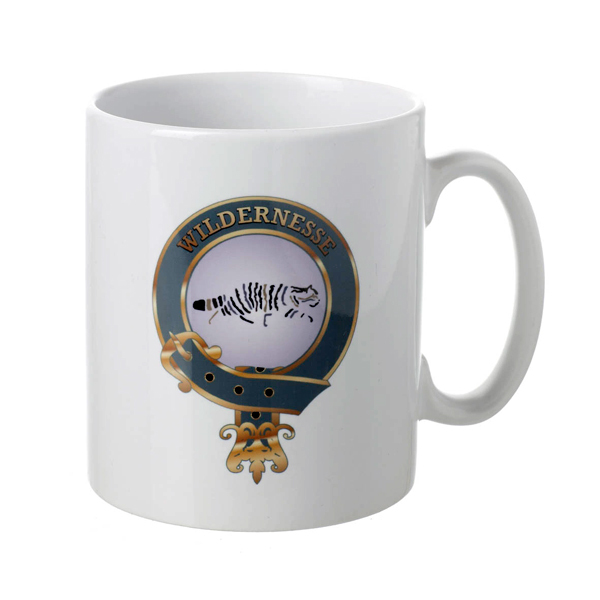 This mug features your aristocratic Wildernesse Clan Buckler with gold text and a wildcat design. A unique gift for cat owners, nature lovers and Lairds of Wildernesse alike. dimensions: 11oz Mug approx: 8cm diameter x approx 9.1cm high.